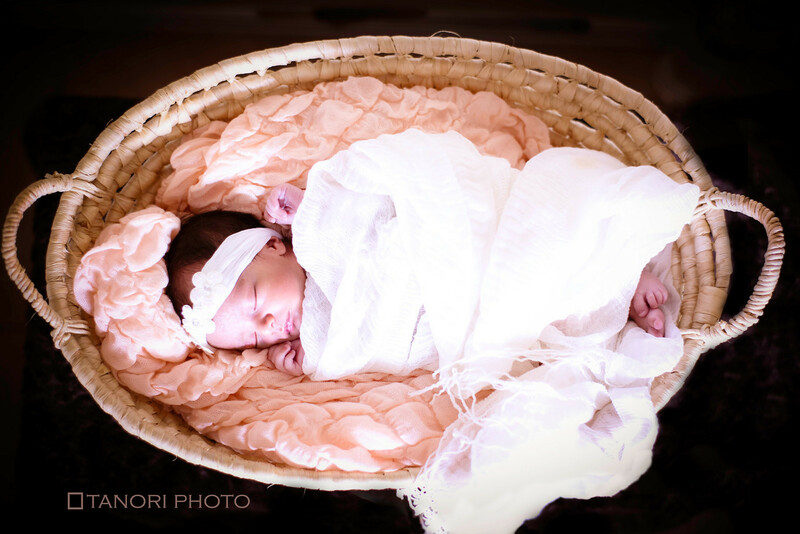 Having a newborn changes EVERYTHING! Anyone who says otherwise is either lying or they have two nannies per child ala the Jolie-Pitt family. One thing it changes or dare I say challenges is your organizational skills. Insert gratitude plug to BellaVita right here! For example this year for Christmas I bought CJ nothing but some new hankies- since yes, he is a man in this day and age who actually carries and uses them. I guess it's a British/Australian thing and once you grow up doing it you don't stop. They were lovely though- one set was by Pierre Cardin and the others were monogrammed with his surname initial. His gift to me was something little as well that I picked out. 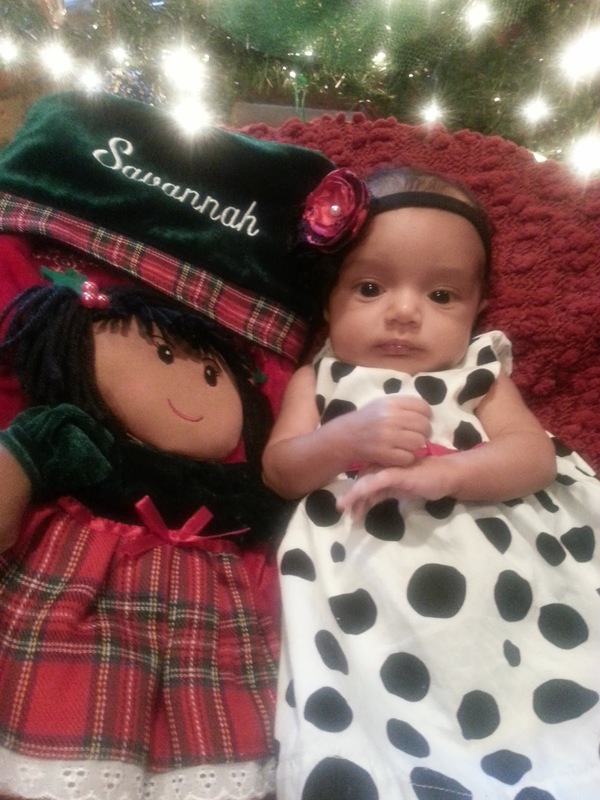 My parents did their due diligence with nice gifts- but let's be real when there is a newborn and the first gran in the family- one guess who's getting lavished with gifts. That's why when I received an e-mail a few weeks ago from the folks at BellaVita USA asking me to review their product I was like, "Yay, a REAL Christmas present for me!" But the thing is that what I got wasn't just a cool present it was THE COOLEST gift that I didn't know how much I needed until I got it. 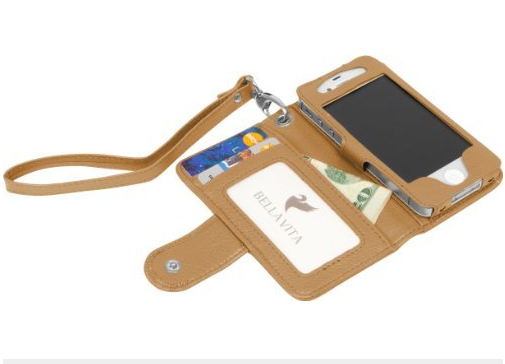 The BellaVita Vita Bacca iPhone 4/4S Wristlet Wallet saved my you-know-what several times when I was home back in Texas. I was able to escape to the park on a solo walk with the dog. I didn't have pockets, and I certainly didn't want to carry my purse on the walk. 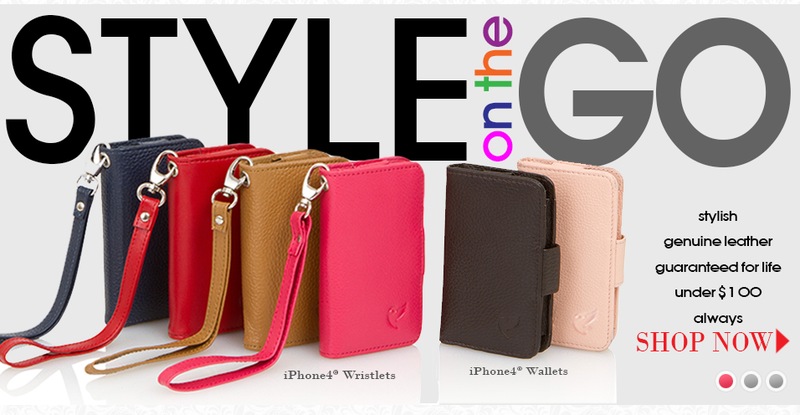 But I had everything I needed right on my wrist, my phone, my ID, my money and a credit card- just in case. When we went down to Austin and I had to run into the store for some organic diaper wipes. I didn't have to lug everything in with me. CJ stayed in the car with the baby- I grabbed my wristlet which had everything I needed in it and I popped in and out of the store in a flash. This thing is just perfect. A little too perfect. Lunch at Neiman's showing off a little. 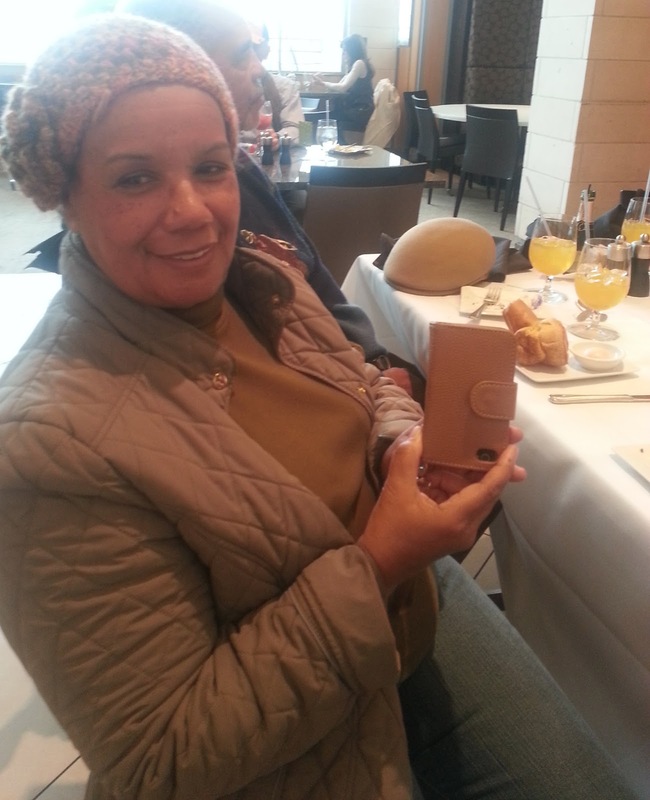 So perfect that my mother got a little jealous and kept mentioning how naked her iPhone was and how plain her case was. 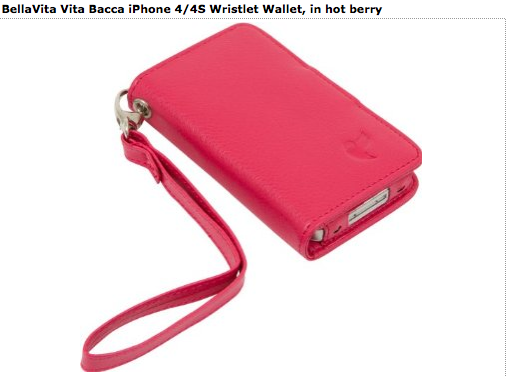 So guess who caved and will be buying another BellaVita Vita Bacca iPhone 4/4S Wristlet Wallet but this time I think I'll go for the Hot Berry. Hello my amazing followers please forgive little hiatus I've taken from this blog. If it's any consolation I've missed you as much as you've hopefully missed me. But I'm back in full force so, let me catch you up to date- but don't get overly excited, it's going to take a few more blogs to do so. On October 19, 2012 at 9:10 a.m. my life changed forever in the grandest way because I had THE BEST birth I've EVER had!!! Granted it's the ONLY birth I've had, but since I have nothing to compare it to I'm giving it that ranking and two thumbs up. Seriously, on a scale of 1 - 10 it was an 11! But- especially so considering some of the horror stories I've heard. I did what I said I was going to do, as crazy as some people thought I was, and I had my baby the good old fashioned way. No, I wasn't strapped to a bed, drugged and knocked out and then when I came to had a baby thrust into my arms. Go further back. I mean the REALLY old fashioned way- au natural i.e. with no drugs or pain medication whatsoever. But to make it as comfortable as I could for myself and the baby I did it in water. I mean, when you think about it what better way to come into the world, right?! Water is soothing and relaxing and the kid is already in fluid so what a great transition and welcome to their new world. Plus a bonus I didn't even think about was that the baby comes out completely clean like they used to on TV shows before stuff started gettin' real. Thank you Grey's Anatomy. My husband, CJ was a trooper and a great birthing partner. He got in the tub with me. Helped me stay calm and utilize the skills we learned in our hypnobirthing class. In fact he was so on the ball he caught our daughter after she came out. Although torpedoed out is more accurate- y'all it was like baby bungee cord jumping. 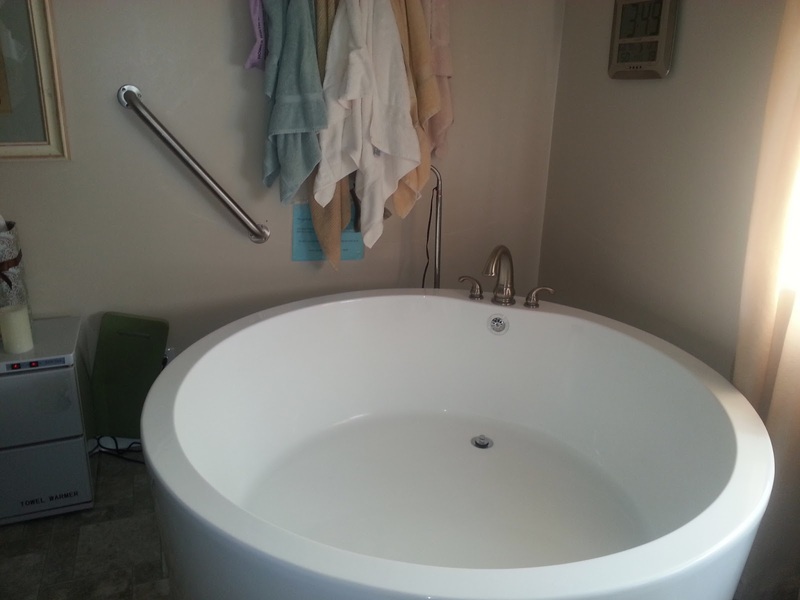 Thank God her umbilical cord was short because she would have hit the other side of the tub had it not been. 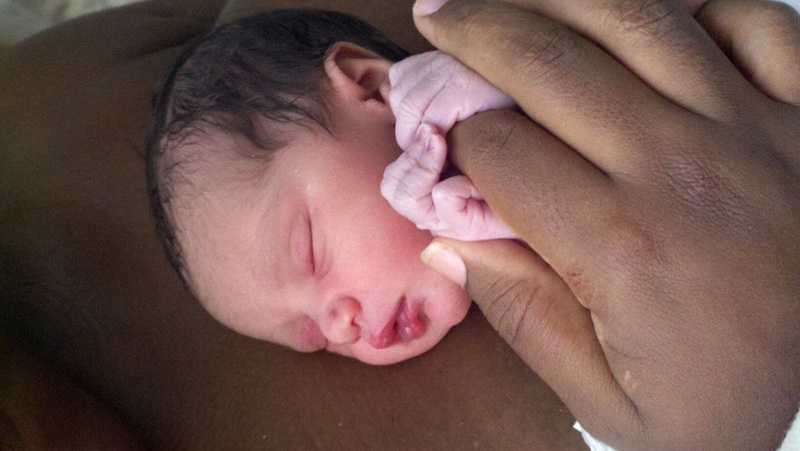 CJ caught her on the rebound and handed her to our midwife who made sure all was well. Then she handed her back to me and we started bonding as a family. We were at the birthing center until about 5 pm and on the way home we stopped at Sprouts to pick up a rotisserie chicken 'cause I sure as hell wasn't cooking that night.